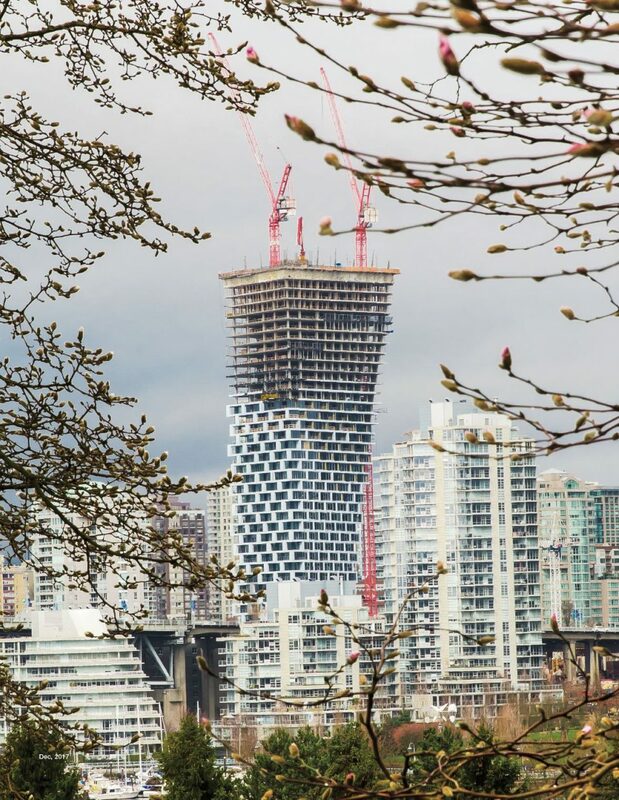 Vancouver House by Westbank and Bjarke Ingels Group has already transformed the city’s skyline, but the spectacular building is not just the twisting, turning 52-storey tower —there’s also a significant office and retail component, and those spaces are now for sale and lease. 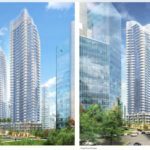 We have been chronicling the construction of Vancouver House since shovels first hit the ground a couple years ago, and now we’re now getting a look at the office space component of the development. 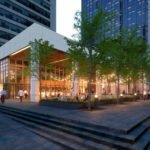 Developer Westbank is preparing to launch sales of the 16 office spaces (known as Creative Spaces) and leasing the retail (Marketplace) spaces at Vancouver House. 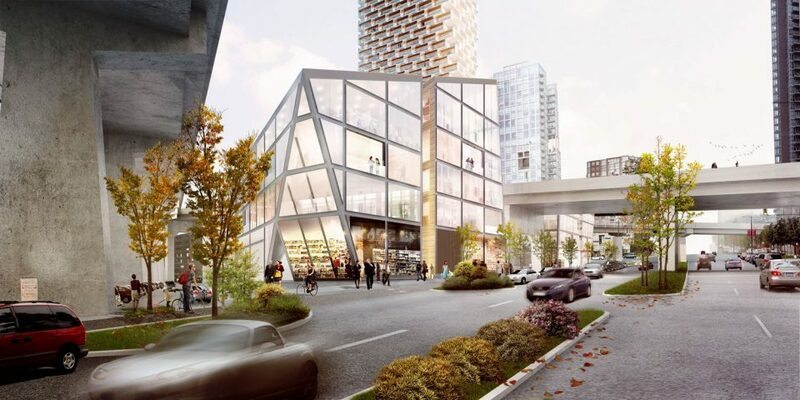 The Vancouver House development includes 84,000 sq ft. of retail space and 74,000 sq ft. of office space. 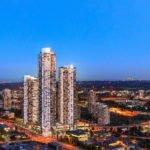 Retail tenants already committed to Vancouver House range from a grocery store, to restaurants and local micro breweries. 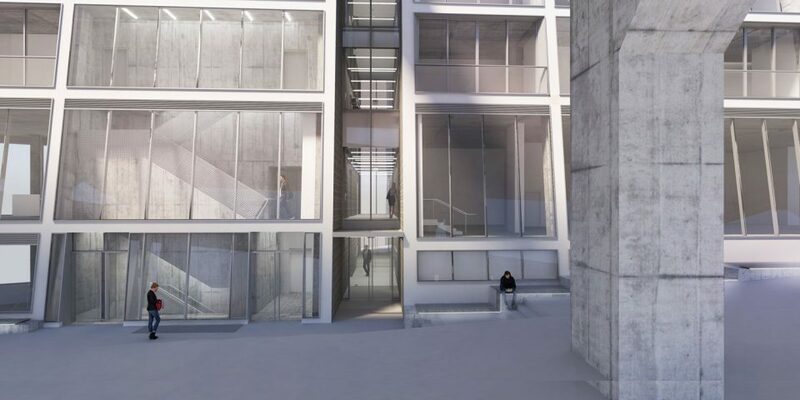 Office spaces will feature ceilings of raw architectural concrete, with white oak hardwood floors and open spaces with double height ceilings and expansive windows. 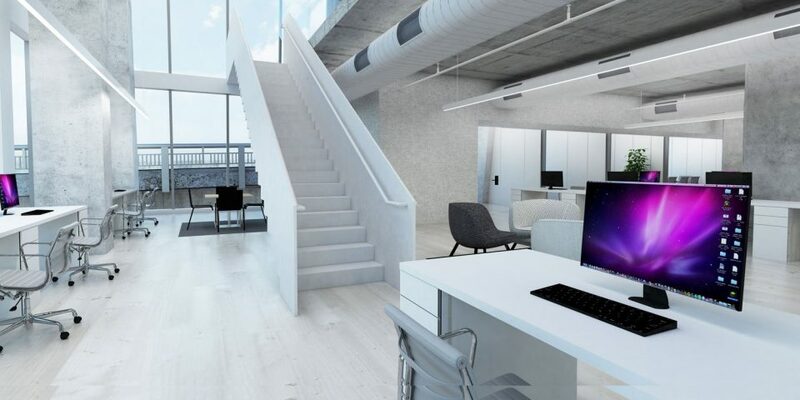 Fresh air will be easily accessible via Juliette balconies with sliding doors, and office tenants will enjoy matte black kitchenettes with Kohler plumbing fixtures and European appliances. Two centre-opening 3,500 lb. 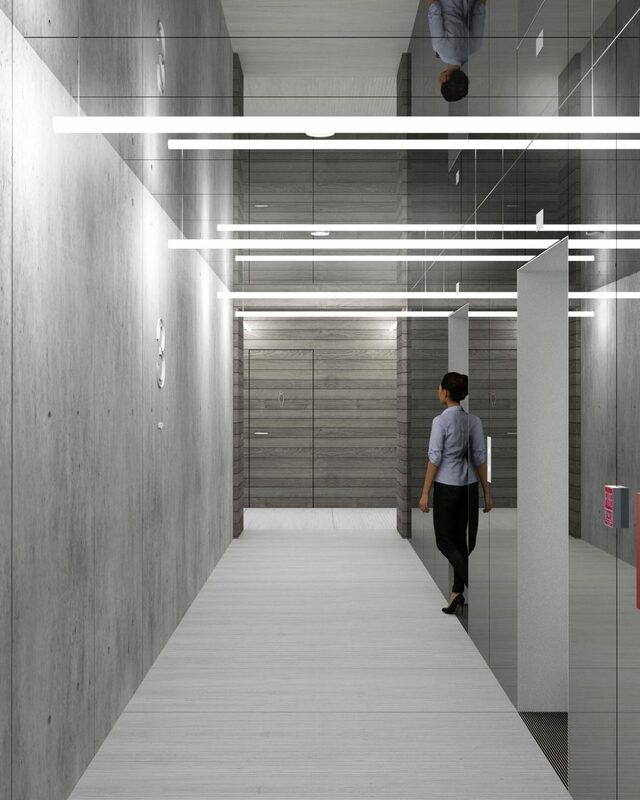 elevators with access to all levels will service the office spaces, with striking elevator interiors designed by Bjarke Ingels Group. Elevator interior. 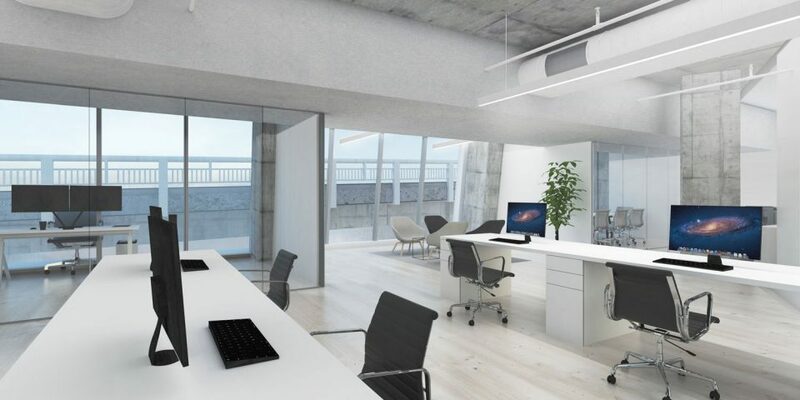 Credit: Westbank Projects Corp.
Office space. Credit: Westbank Projects Corp. Exterior rendering. Credit: Westbank Projects Corp. 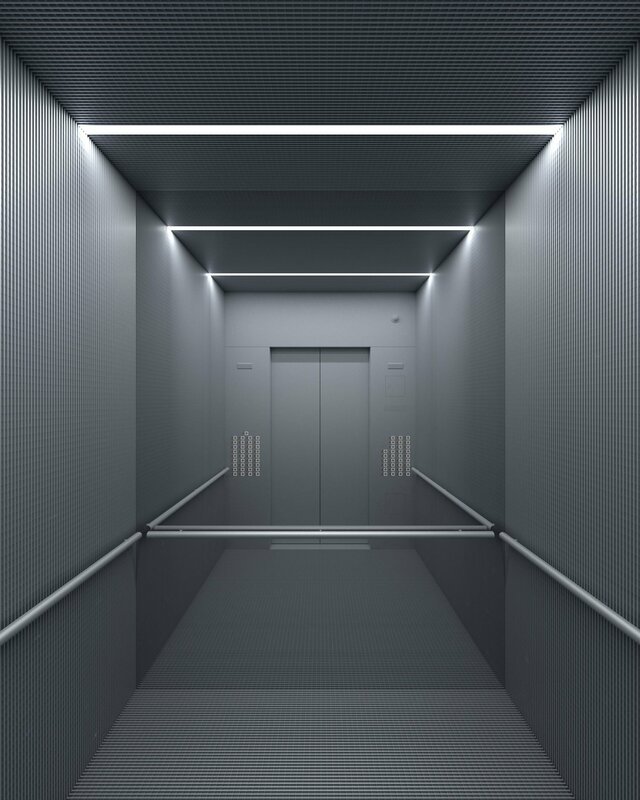 Elevator lobby. 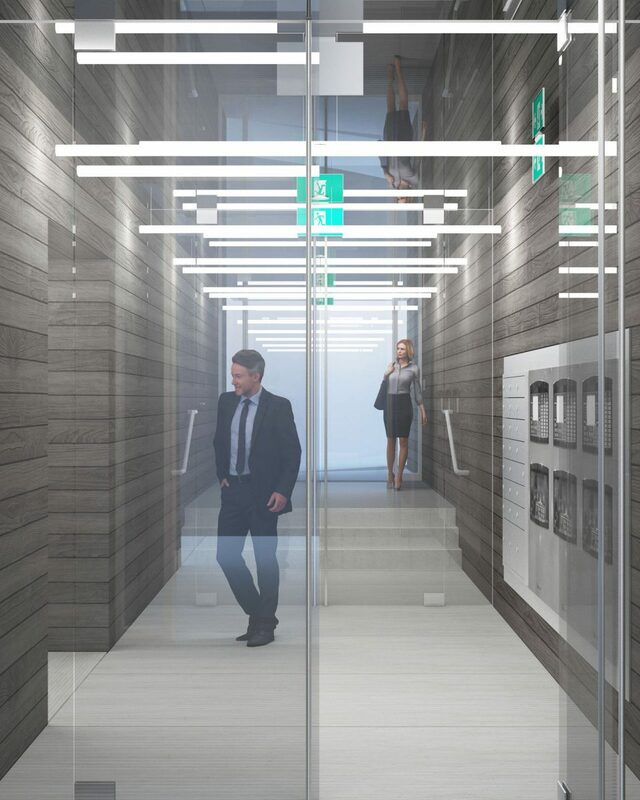 Credit: Westbank Projects Corp.
Office rendering. 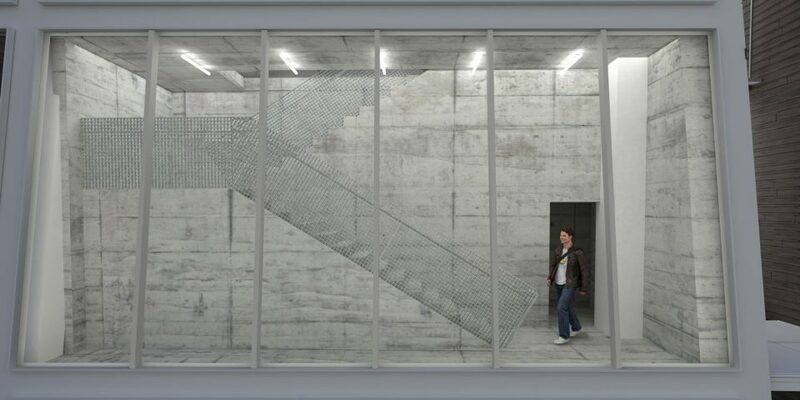 Credit: Westbank Projects Corp.
Stair egress. Credit: Westbank Projects Corp.
Pacific Blvd. frontage. Credit: Westbank Projects Corp. 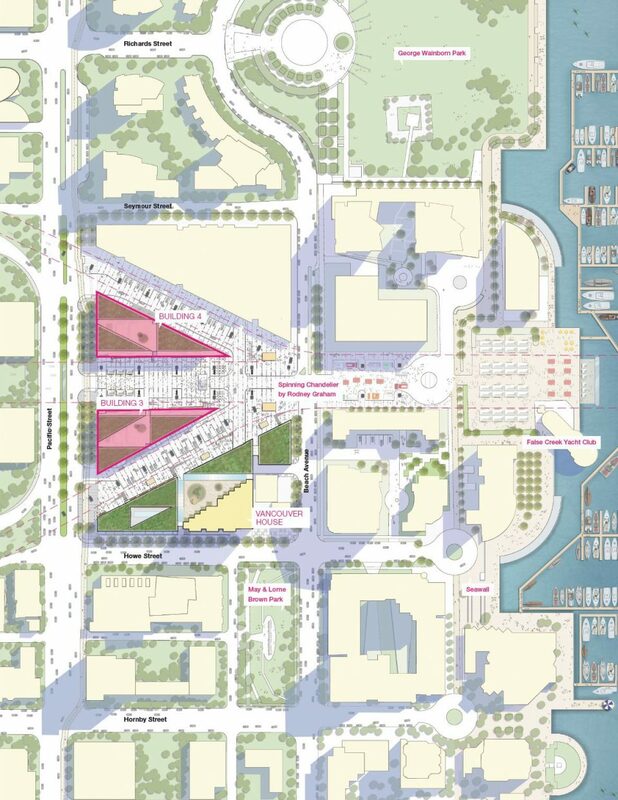 Exterior rendering showing public space under bridge onramp. Credit: Westbank Projects Corp.
“Spinning Chandelier” by Rodney Graham, a monumental recreation of a 200-year-old French chandelier. 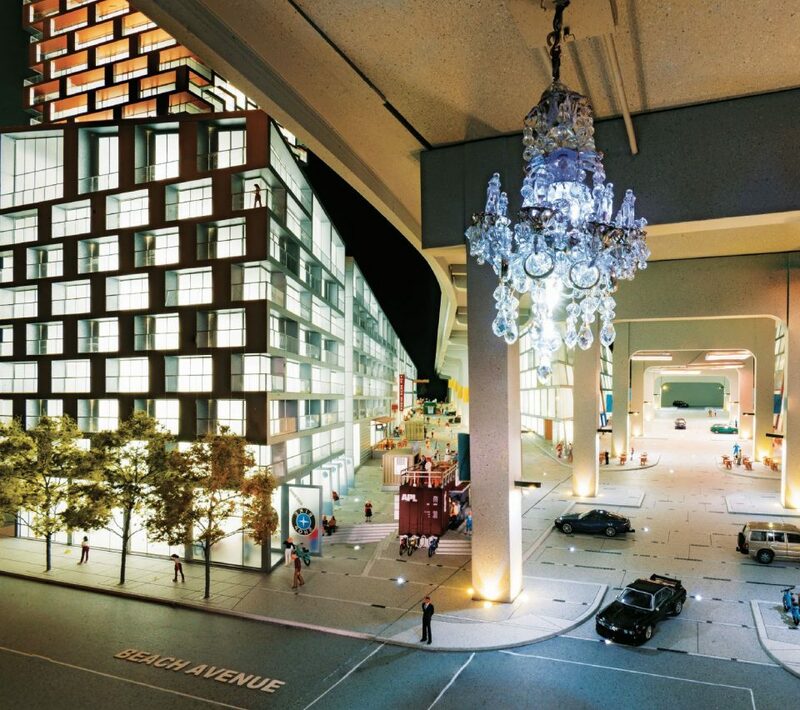 Credit: Westbank Projects Corp.
Vancouver House will include a major public art installation by Abbotsford-based artist Rodney Graham, titled “Spinning Chandelier” — a recreation of a 200-year-old French chandelier. 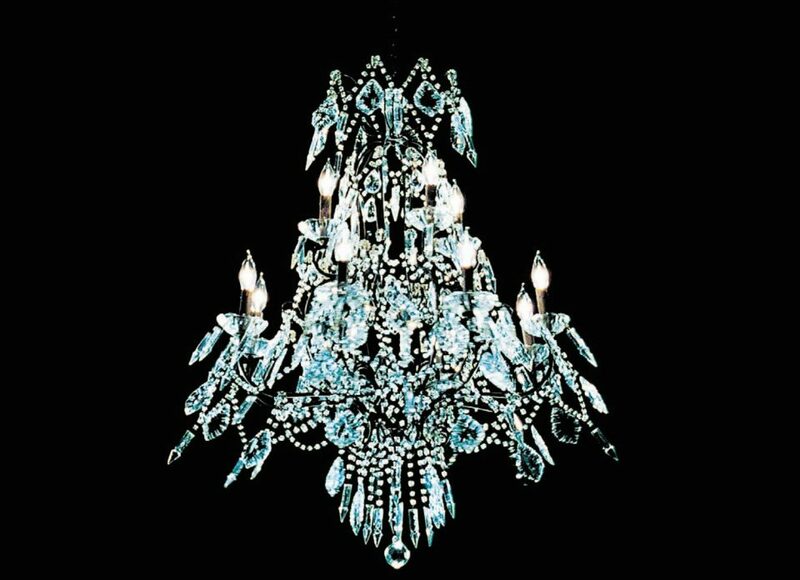 The chandelier will rise daily and rapidly drop at a fixed time, spinning as it descends, sending light in every direction. 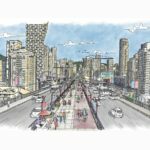 The piece will be installed under the bridge above the intersection of Granville Street and Beach Avenue and will measure 14 by 21 feet. 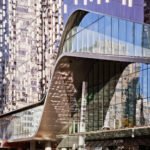 Westbank is aiming for a completion and occupancy date of summer 2019. Sale and leasing inquiries can be directed to Marko Radovic of Westbank: marko@vancouverhouse.ca or 604.396.4057. Construction of Vancouver House, pictured 2018. Credit: Westbank Projects Corp.
Map of Vancouver House development, showing buildings three and four. Credit: Westbank Projects Corp. 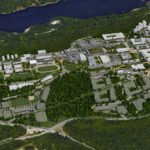 Filed Under: News, Office and industrial Tagged With: BIG, Bjarke Ingels Group, Vancouver House, Westbank Projects Corp.